Really nice hostel. Rooms look like hotel rooms. Very clean. Good beds. Big lockers. Great staff. Good breakfast buffet. Would definitely recommend! If I could, I would go back for sure. Best value for money, great staff. More like a hotel than a hostel, perfect for doing the falls. 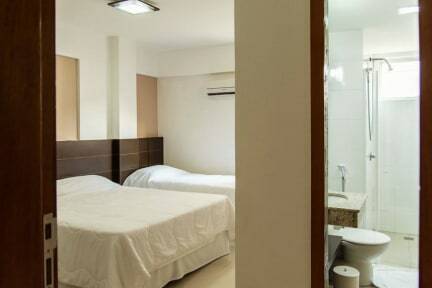 The private rooms are nice & relatively clean, like a budget hotel. I haven't slept in the dorms so I can't tell you much. 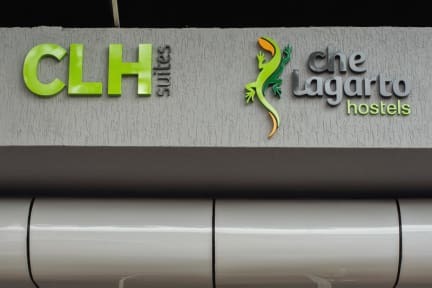 It's more of a budget hotel feeling rather than a hostel, so if you're looking for atmosphere, meeting new people & socializing, this isn't the right place. Staff isn't very helpful or friendly - honestly the only good thing is the comfort of the private room. If you want to an affordable private room where you can relax before going to the falls, this is a good place. 4 bed and 8 bed shared rooms are exactly same size but only $2 difference. 8 bed shared rooms are bad bunk beds (they rock when one person moves) and not enough outlets for 8 people and no space to put backpacks for 8 people. They should have 4 or 6 people maximum in these rooms.